All-Ireland hurling champions Galway will kick off their 2018 championship next Saturday week in Tullamore (7pm on May 12 ) when they face Offaly in the first of their Leinster championship group games. Current All-Star Conor Whelan believes the squad's first priority is plotting a way through the ultra competitive Leinster hurling championship as they set about defending their title. Galway missed out on promotion to division 1A of the national hurling league once again this spring when they were defeated by Limerick in Pearse Stadium. However last year’s league, Leinster and All-Ireland winners will be looking for and expected to get a winning result against Offaly. The Kinvara man says there was plenty of disappointment in the Galway camp after they failed to earn promotion again this season, but he acknowledged that all eyes are trained on their round robin opener to kick start their championship. “Promotion was a big goal for us this season. Everybody wants to be in division 1A and that's at the top table, but that's just not the the way it worked out and we're just looking forward now,” says Whelan, who is still 21 until next October. “Then we went down to Wexford in the quarter finals of the league and were beaten by a better team on the day. That's just the manner of how it goes." Both the Leinster and Munster provincial championships have been revamped ahead of the summer, and after their opener against Offaly, Galway have a bye weekend before they welcome Kilkenny to Pearse Stadium for their first Leinster championship game at the venue. It has taken years of lobbying to bring championship hurling to Salthill and supporters are delighted to have Brian Cody’s team coming to the venue. However, Whelan does not know what to expect. “It is unique. It is unknown. It's uncharted territory for everyone and we are not really sure how it's going to pan out. I wouldn't say (Kilkenny ) is an X on the calendar to be honest. We are not looking past Offaly on Saturday week, and if you lose your first game, straight away you're in serious trouble. “It is going to be a change all right. I've never played a home championship game in Pearse Stadium. I haven't really thought about it too much. 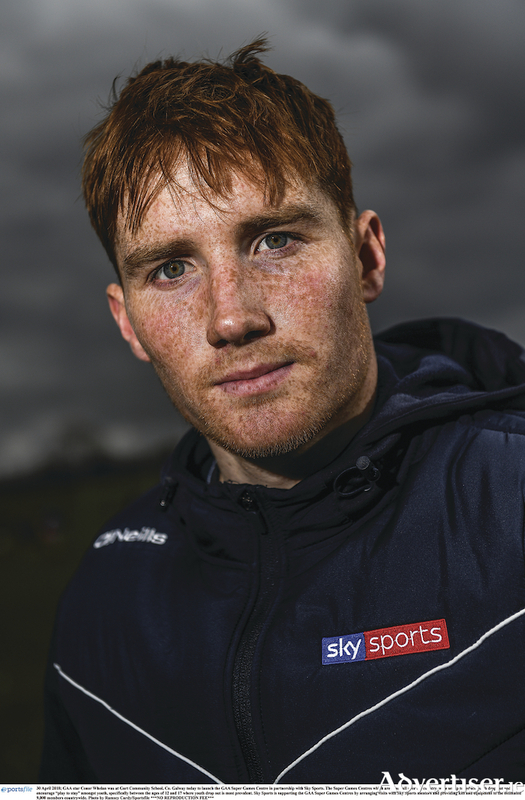 Whelan was speaking in one of his old classrooms in Gort Community College, where he appeared as part of Sky Sports’s launch of the GAA Super Games Centres. Nine of the Galway panel received their education at Gort Community College and Whelan said it was a special occasion bringing back the trophy to his alma mater. On this year's All-Ireland if it was not Galway, the 2017 Young Hurler of the Year says there are six or seven teams who could all be considered All-Ireland contenders. "Leinster is very competitive - there are five teams there, and you're just looking around and every team is capable of beating anyone and it's the same in Munster. “It's a championship to look forward to. Nobody is really sitting there and passing judgement on who could potentially win the All Ireland. Everyone is concerned with themselves, getting the performance right in the first round of the championship and we are not any different." Whelan is four years on the Galway senior squad and yet he feels like it was only yesterday he arrived. "Every year is different and 2018 has a new structure and a new championship and with that comes different challenges. You always have to try to keep moving with the times and to try to develop your game. I am not any different to anyone. It doesn't really matter how long you've been here, if you're not willing to improve and willing to get better, you're going to stand still and fall behind pack. Galway hammered Offaly last June in the Leinster hurling semi-final in Portlaoise by 0-33 to 1-11 with Whelan notching 0-7, as did Joe Canning and they also beat them by 11 points in the league. Hence, anything barring a Galway victory in nine days' time would be a colossal surprise. It should be a good opportunity to build a little bit of momentum and team spirit ahead of taking on Brian Cody's men at home in round two.